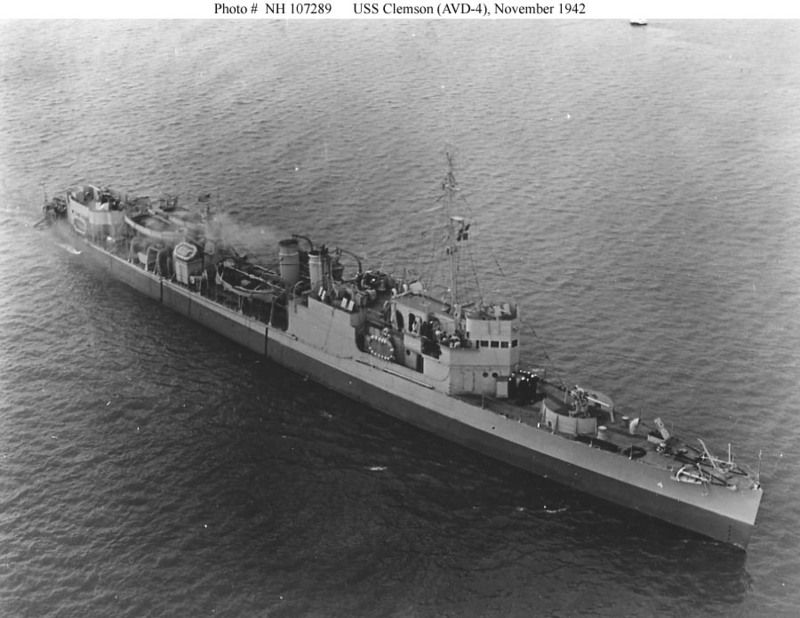 ↑USS Clemson (AVD-4). Photographed on 20 November 1942. Official U.S. Navy Photograph, from the collections of the Naval History and Heritage Command. Image courtesy of HyperWar.